The friendly moccasin is Manufacture Maurice’s signature design. Hand-sewn in our workshops, it combines style and elegance with unrivalled comfort. 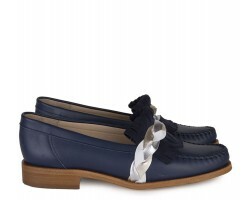 A must in any wardrobe, the humble “moc” combines a touch of nostalgia with ultimate chic!